Day two of work week! I thought today could be about making a good impression -- whether it's during an interview, first day or work or just a normal day in the office. Ever heard the term look good feel good? I feel like that 100% applies to the office. When you're excited about your outfit and feel good about how you look, you present yourself as a more confident and positive person. It's all a mental game! 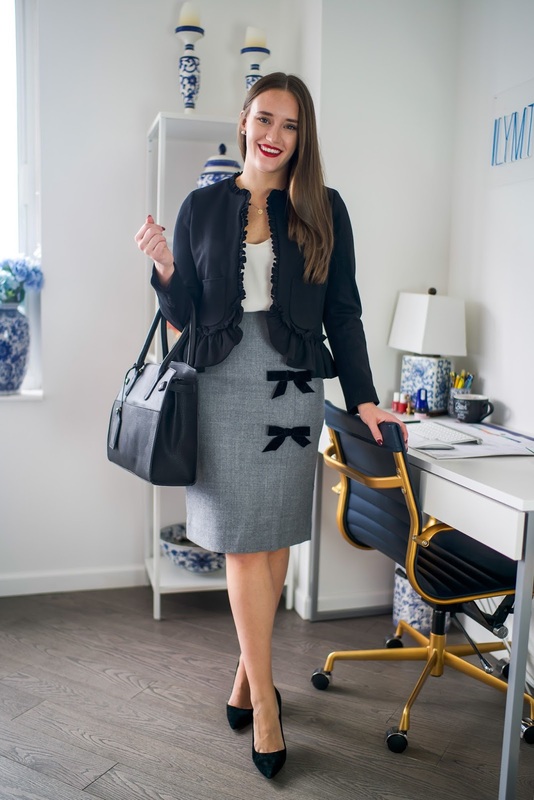 I feel like people can get into a rut when it comes to office work wear but really all you need is a few good (and unique) pieces that you can mix and match to really spruce up any outfit. 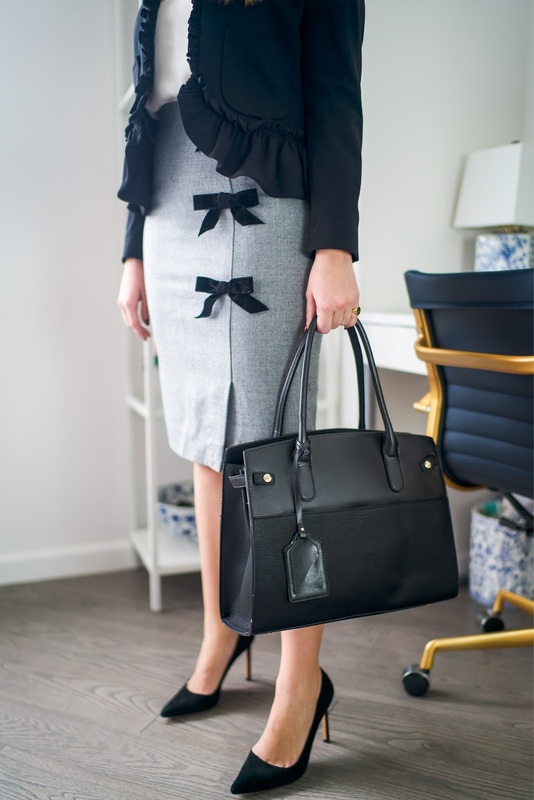 Work wear doesn't need to be boring! Yo can (and should) dress to impress! I know today's dress to impress look is on the expensive side but I did try and link more affordable options! I'm a firm believer in paying for (an investing in) quality items and I think J. Crew would fall into that category! Everything I've gotten from there over the past 7 years has really held up to the test of time and make whatever price tag worth it. I've been eyeing this skirt for a hot minute and when I was in the store last week I tried it on on a whim. They only had a 4 or an 8 so I grabbed the 4 and hopped for the best. Surprise to me it fit like a glove! When items are higher waisted (and stretchy) I find that I can normally size down. So I would say it runs a size large! 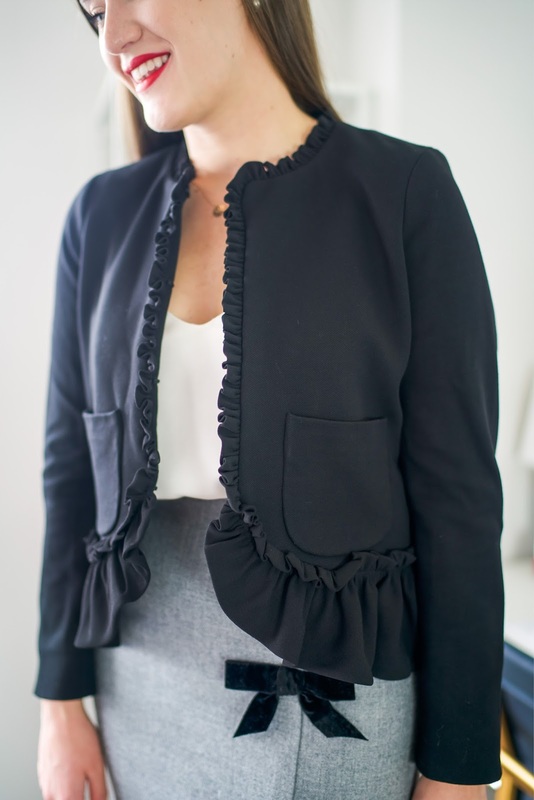 For this blazer -- I LOVE it. J. 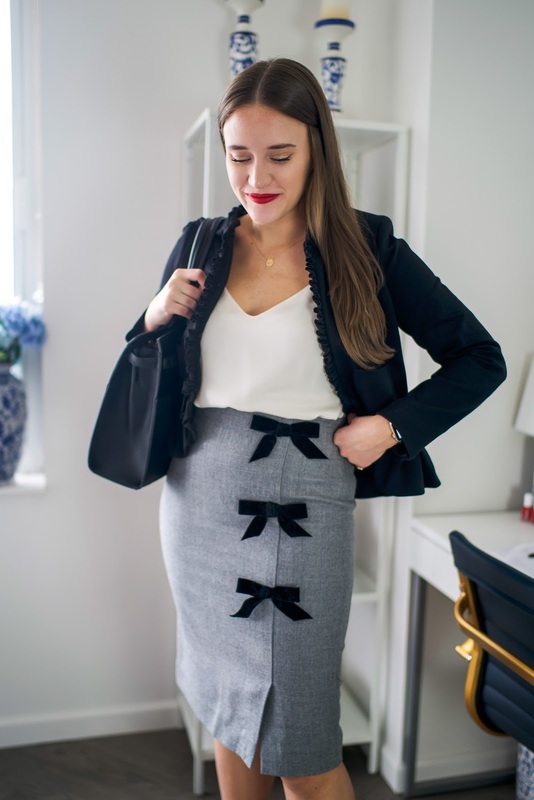 Crew blazers are the beeesstttt but especially this one -- can be worn dressed up or dressed down and I love love love how it looks with this skirt. I'm thinking of styling this blazer a couple different ways over the next month or two to really show how great and versatile this blazer is. 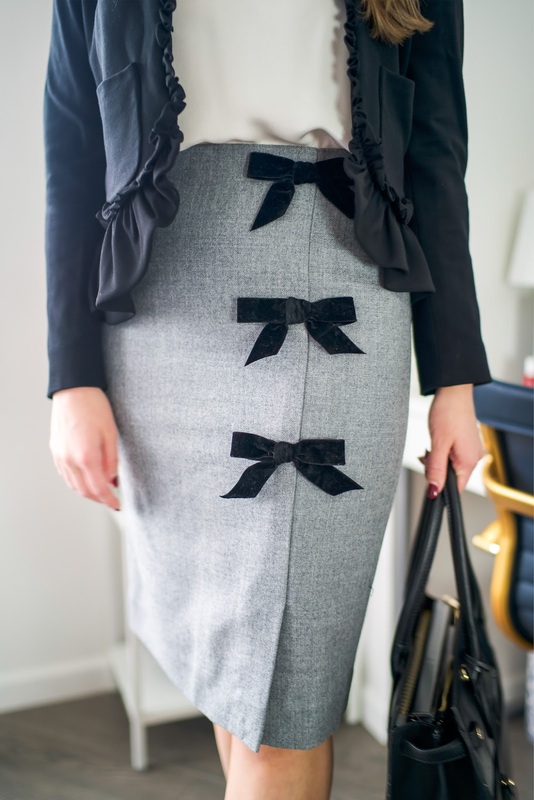 It would also be super cute with some work pants! 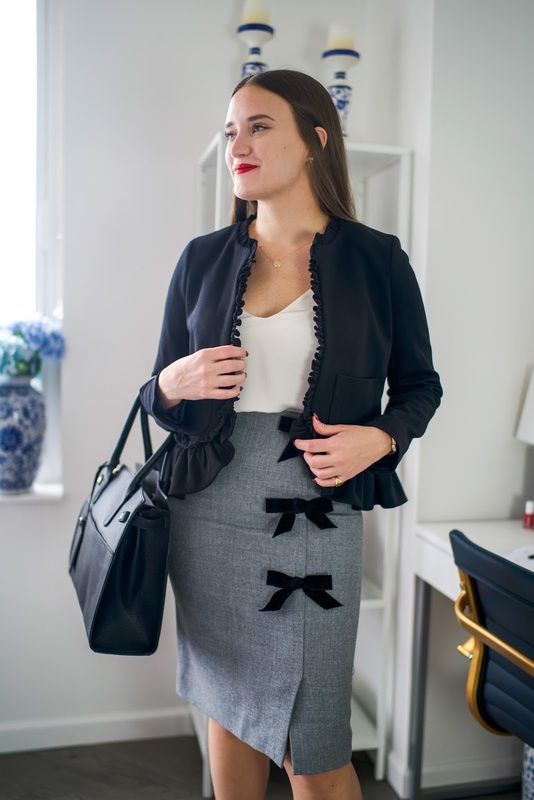 I find that I love to bring a blazer to work for whenever you get a little cold. 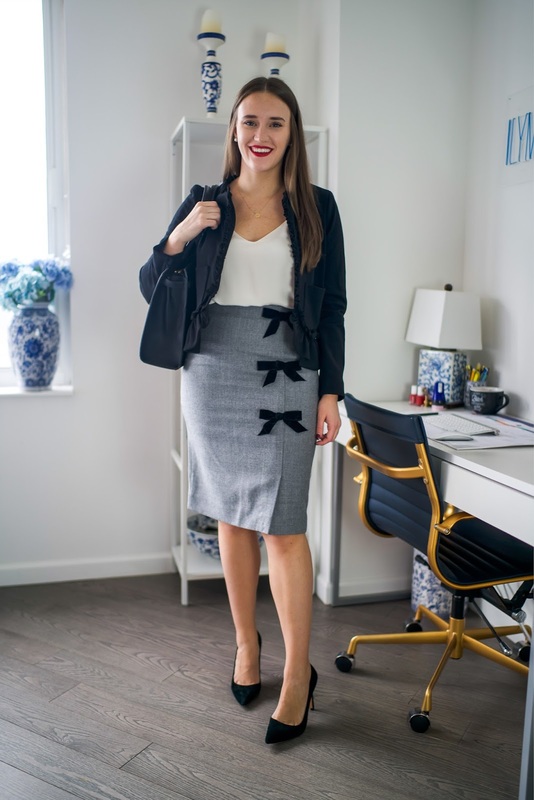 It's a great and professional way to layer, it will keep you warm without being hot and most of the time any blazer can be paired with any outfit! OHH alsoooooo this bag! 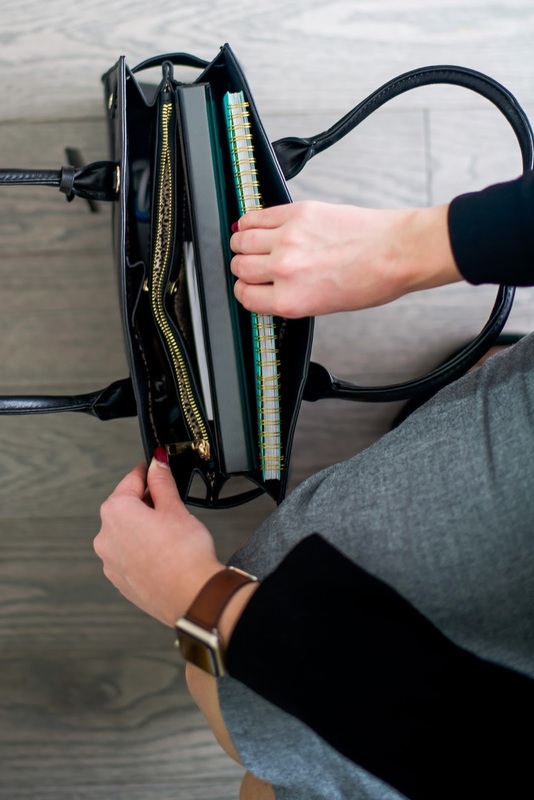 You guys asked for affordable work bags and this is under $70 and perfect for the office. I'm doing a full review on three Sole Society bags so here is your little sneak preview!